Another quick and easy appetizer, lunch or light dinner! These are pretty self explanatory- puff pastry, asparagus, cheese (whatever white cheese you prefer- gruyere, fontina, emmentaler, muenster etc), fresh prosciutto, baby arugula and eggs. On a very lightly greased baking sheet or a shallow baking dish lay the puff pastries out and pop in the oven on 400 for about 12-15 minutes…or until it starts to lightly brown on the bottom. Pull the sheets/dish out of the oven and allow to cool for a bit. Sauté asparagus in a bit in truffle oil or olive oil (with salt and pepper) for a few minutes just to soften them up a bit. 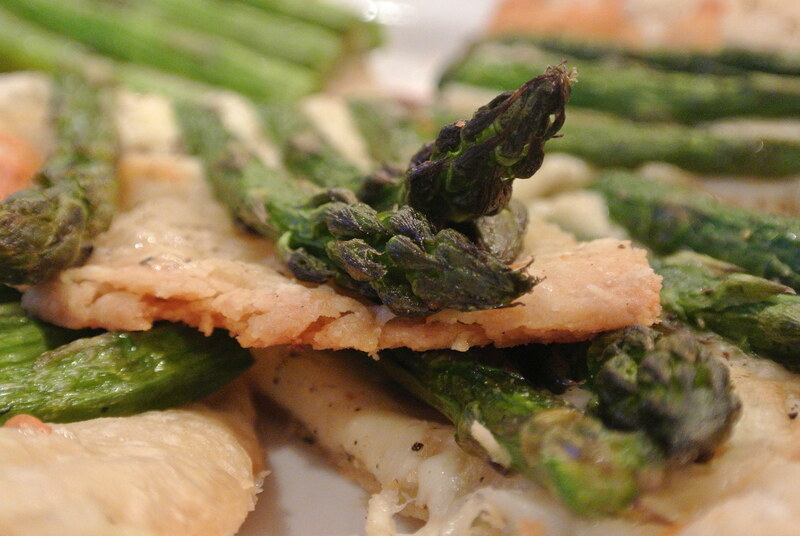 On one of the pastries, put down a layer of cheese and then arrange the asparagus on top. Reduce the heat to 375 degrees and bake for about 20 more minutes until the pastry is golden and the asparagus is soft. On the other pastry, put down a layer of cheese. And pop in the oven at 375 for another 8-10 minutes. Pull it out and crack 2-3 eggs carefully and strategically on top of the cheese. Place the pastry back in the oven and bake until the whites have indeed turned white and the yoke starts to stiffen (about 9-12 minutes). If you like runny eggs, take the tart out of the oven a bit earlier. 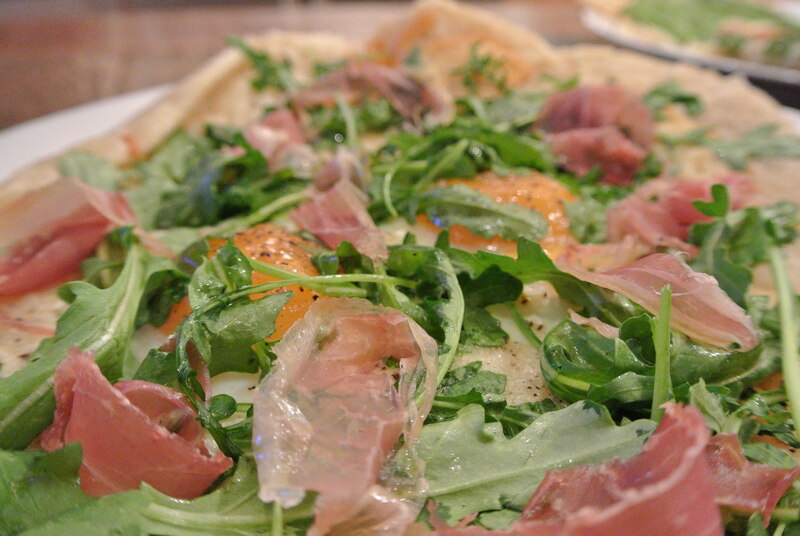 Top with the arugula and shredded (or pulled) prosciutto and allow to rest before cutting and serving! What a great blog you have. I look forward to it each day. Great recipes to explore. Love your cat too.